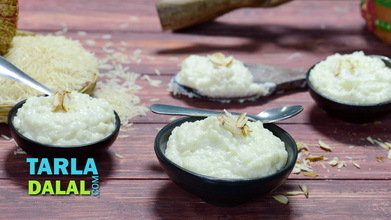 Get set to prepare the all-time favourite Bengali delight right in your own kitchen! 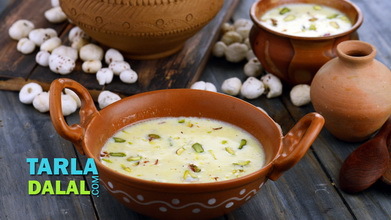 We show you the whole process, right from curdling the milk to make fresh and succulent paneer, to making super-soft rasgullas from it, and soaking them in aromatic and spicy saffron milk to make authentic Rasmalai. Refrigerate this delightful mithai and enjoy it cold. 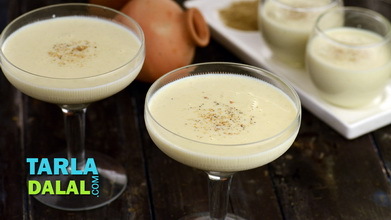 During auspicious and festive Occasion make this Rasmalai at home and enjoy with freinds and relatives. 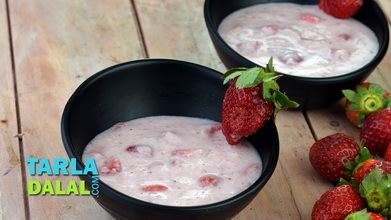 Reduce the flame to medium and cook for 15 minutes or till the milk reduces to half its quantity, while stirring occasionally and scraping the sides of the pan. 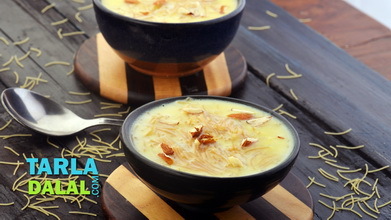 Meanwhile, combine the saffron and warm milk in a small bowl or mortar-pestle (khalbhatta), mix well and keep aside. Add the sugar to the boiling milk, mix well and cook on a medium flame for 1 minute. 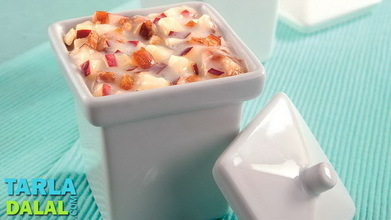 Keep aside to cool for 30 minutes and refrigerate for at least 1 hour. Switch of the flame, add the lemon juice gradually and keep stirring gently till it curdles. It is completely curdled, when the paneer and the whey (greenish water) separate out. 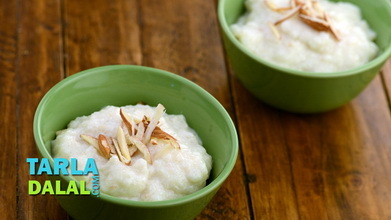 Place the muslin cloth with the paneer in a bowl of fresh water and mash it gently for 1 to 2 minutes. Repeat step 4 two more times by changing the water in the bowl each time. Tie and hang it for 30 minutes for the extra water to drain out. Squeeze the muslin cloth to drain any more water remaining. Place the muslin cloth on a flat plate, open it and knead the paneer very well using your palms for 3 to 4 minutes or till the paneer is smooth and free of lumps. Divide the paneer into 10 equal portions and roll each portion into a small ball between your palms and flatten it lightly and gently. Keep aside. Put 5 cups of water in a steamer, add the sugar and bring to boil, while stirring occasionally so that the sugar dissolves completely. 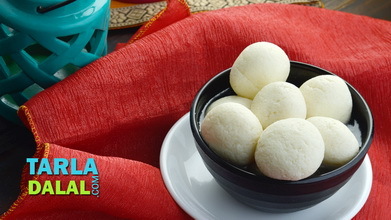 Put the paneer balls into the sugar water and steam for 7 to 8 minutes. Switch off the flame and allow it to stand in the steamer for 30 minutes. 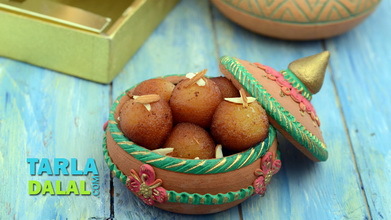 Remove the rasgulla one by one from the sugar syrup, squeeze them gently in between your palms and add them to the saffron flavoured milk and stir gently. Refrigerate them for at least 30 minutes. Serve chilled garnished with pistachios and almonds.